Toy Card is a company created in 1987 by Tomy, Epoch and Bandai to make gift cards exchangeable in toy shops for their products. 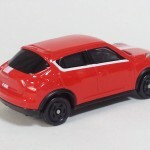 The service quickly evolved to include children’s clothes and attraction tickets and is now also used by the three major Japanese toys makers to produce limited editions aimed at adult collectors of their popular lines under the name ‘Toy’s Dream Project’. 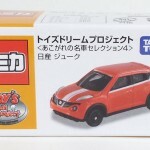 Twice a year, a TDP mini-collection of 6 Tomica cars is released exclusively through selected retailers (including Tomica Shops). 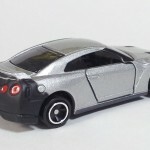 Quantities are limited and the overall quality is higher than the regular Tomica releases with models often featuring clear plastic headlights, elaborate paintjobs or decorations. 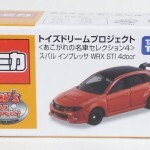 This leads to a retail price almost twice as high as a Regular Tomica. 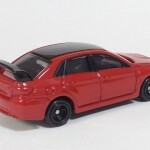 The theme of the latest Toy’s Dream Project collection is the ‘Long Awaited Great Cars Selection’ volume 4. 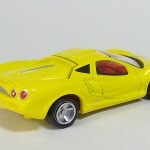 These cars have special colors or decorations never made before by TakaraTomy and supposedly ‘long awaited’ by collectors. 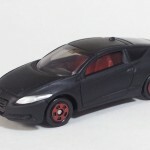 This matte black CR-Z with red wheels was tuned by Wraptivo and showed off in many events and magazines. 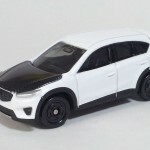 The CX-5 ‘Active Driver’ concept was on display at the Tokyo Auto Salon 2013 and features a very well reproduced carbon bonnet. 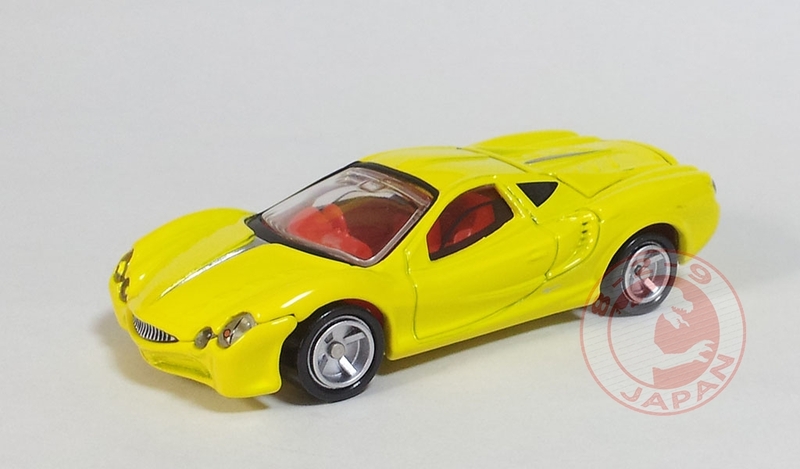 The yellow Orochi with red interior was the first Orochi sold by Mitsuoka. The masked version of the GT-R Test car that beat the Porsche 911 at Nurburgring in 2009. This one features the number 33 printed on the front and rear bumpers. 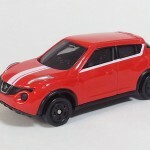 This red with white stripe Juke was featured in the commercial with the Stormtrooper from Star Wars. 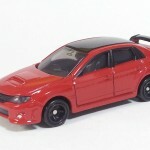 The red Impreza WRX STi with black roof was a preorder limited edition.